The Law Offices of Jack S. Johal is a California professional law corporation that handles estate planning, probate, conservatorship, guardianships, real estate, asset protection, business formations and tax matters. Whenever possible, we prefer to assist clients in planning for the future, avoid probate, minimize taxes and create their legacy. We work closely with the client to develop solid estate planning strategies in a cost efficient and effective manner. In addition to the estate planning, the firm also handles business formations and restructuring of entities. Mr. Johal is successful in creating comprehensive solutions to complex business and estate planning problems, utilizing personalized planning for business and personal needs. Mr. Johal has over thirty years' experience and has advised high-net-worth clients in all areas of taxation, including income, estate, gift and property tax. Involved in drafting California legislation, Mr. Johal remains on the cutting edge of new developments. Always available to his clients, he has surpassed the concept of personal service. Education: LL.M. (Masters of Law in Taxation), New York University School of Law (1983); J.D., Duquesne University School of Law (1981); B.A., Occidental College (1978). Bar admission: Pennsylvania (October 27, 1981); California (October 12, 1983); United States Court of Appeals for the Ninth Circuit and United States Tax Court. Practice history: Neumiller and Beardslee (1983-1988); Trainor Robertson (1988-2003); Hanson Bridgett LLP (2003-2009); CVM Law Group, LLP (2009 to 2012); Law Offices of Jack S. Johal (2012 to present). Professional Affiliations: State and Local Tax Committee; Chairperson, Legislative Committee, State and Local Tax Committee, Vice-Chair and Chair, State Bar Partnership Committee; Chairperson, Property Tax Subcommittee, State and Local Tax Committee; American Bar Association Committee on Trusts and Probate; Sacramento County Bar Association Probate and Real Property Sections; and Monterey County Bar Association. Awards: Jack was awarded the Five Star Wealth Manager 2010, 2011, 2012, and 2013 Award. He has a Martindale-Hubbell rating of AV (preeminent) and an AVVO rating of superb (10.0 out of 10.0). As a member of the Partnership Committee of the State Bar of California, Jack was extremely active in the development of California's Limited Liability Company Act, the Uniform Partnership Act of 1994 and the California Uniform Limited Partnership Act of 2008. He co-authored the lead article on limited liability companies in the October and December 1994 issues of the California Business Law Reporter. Jack co-authored the Tax Chapter of the Continuing Education of the Bar's publication entitled Forming and Operating California Limited Liability Companies. Jack was an assistant editor and drafter for the Guide to Organizing and Operating a Limited Liability Company in California, Report of the Partnerships and Unincorporated Business Organizations Committee of the Business Law Section of the State Bar of California, April 1995. Jack was the co-editor of the 1999 Update to the Guide to Organizing and Operating a Limited Liability Company in California. He was also an assistant editor and drafter for the Guide to Organizing and Operating a Limited Partnership in California, Report of the Partnerships and Limited Liability Committee of the Business Law Section of the State Bar of California, 2012. He also co-authored the Limited Liability Company Chapter for the Continuing Education of the Bar Business Start-up Manual. He also authored the Supplement to several chapters of the Buy-Sell book for the Continuing Education of the Bar. In 1997, Jack co-authored "Practicing Under California's Version of the Revised Uniform Partnership Act" for California Business Law News, the official publication of the Business Law Section of the State Bar of California. Jack also served as a Practice Consultant for the Limited Liability Company Chapter in the 1998 Matthew Bender book, California Legal Forms. Jack presented two seminars in 1997 for the Section Education Institute of the State Bar of California, "Recent Developments in Partnerships, LLCs and LLPs" and "Drafting Partnership and LLC Agreements". 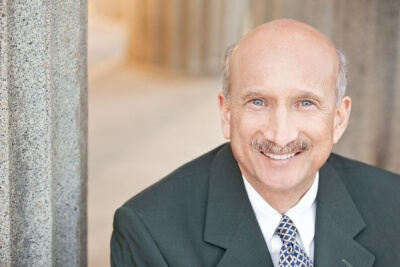 In addition, Jack was a co-speaker on the topic of "Fiduciary Duty Considerations in General Partnerships, Limited Partnerships, and Limited Liability Companies" at the Fourth Annual Spring Meeting of the State Bar of California's Business Law Section in April 2003. He has also instructed courses for Golden Gate University-Sacramento on California property taxes. Jack taught Continuing Education of the Bar courses on "Organizing and Advising Limited Liability Companies" to California lawyers in November 1994, April and May 1995, April 1998, May 2000, and January 2009 in Sacramento, and in April 1999 and January 2009 in San Francisco. In May 1999, he taught an "Advanced Course of Study: Pass Throughs: Choosing Entities and Drafting Agreements" in San Francisco. In addition, Jack spoke on "Limited Liability Companies in California" for the National Business Institute in 2001. In October 2004, Jack spoke on the "Importance of Fiduciary Income Taxation" at the PLI 35th Annual Estate Planning Institute in San Francisco. In January 2005 and January 2009, he taught "Buy-Sell Agreements for California Businesses" in Sacramento, and in January 2009, April 2011 and May 2013 for Continuing Education of the Bar in San Francisco. In November 2007, Jack was invited by the California CPA Education Foundation to speak on "Estate Planning with Real Estate" in Costa Mesa, San Francisco, and Burbank. In November 2008 and June 2013, Jack spoke on "Estate Planning Basics", for the National Business Institute. Jack was requested to speak on "Proposition 13: Change in Ownership Rules" by the County Counsels' Association of California in November 2008. From May 2007 to present, Jack has been a frequent speaker for the Sacramento Rental Housing Association. Jack is currently the Editor for the Guide to Organizing and Operating a Limited Liability Company in California under the California Revised Uniform Limited Liability Company Act, a Report of the Partnership and Unincorporated Business Organizations Committee of the Business Law Section of the State Bar of California. Business and Tax. Organization, taxation, and documentation of the formation, restructuring, and dissolution of corporations (profit and non-profits), partnerships (general and limited) and limited liability companies; taxation; mergers and sale and acquisition of businesses; and structuring, documentation, and taxation of real estate transactions. Estate Planning and Administration. Preparation of wills, revocable trusts, irrevocable trusts (i.e., children's trusts, grantor trusts, and dynasty trusts), life insurance trusts, and charitable trusts. Probate includes formal probate proceedings, summary administration proceedings, guardianships and conservatorships proceedings; and trust administration proceedings and litigation; and taxation of estates, trusts, and family wealth transfer.